Here's a visual representation of exactly how cocoa is made from being planted to making its way to the consumer as a manufactured product. It explains the timeline from planting to harvesting, the fermentation, drying and processing that takes place before its ready to be packed and retailed. In a time of convenience and the ease of buying most food products high, it's easy to forget the huge process that takes place for a simple bar of chocolate to make it to the local shop. 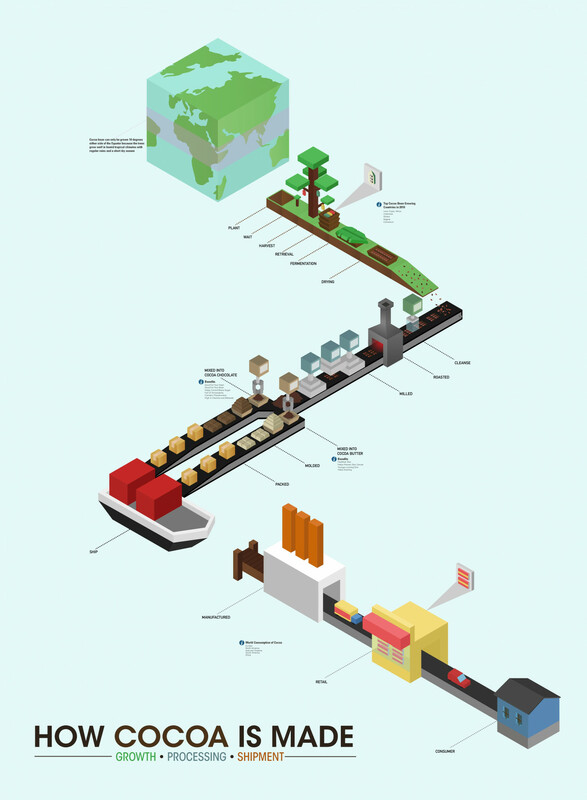 This infographic does a good job of showing this, click here to explore a larger version.